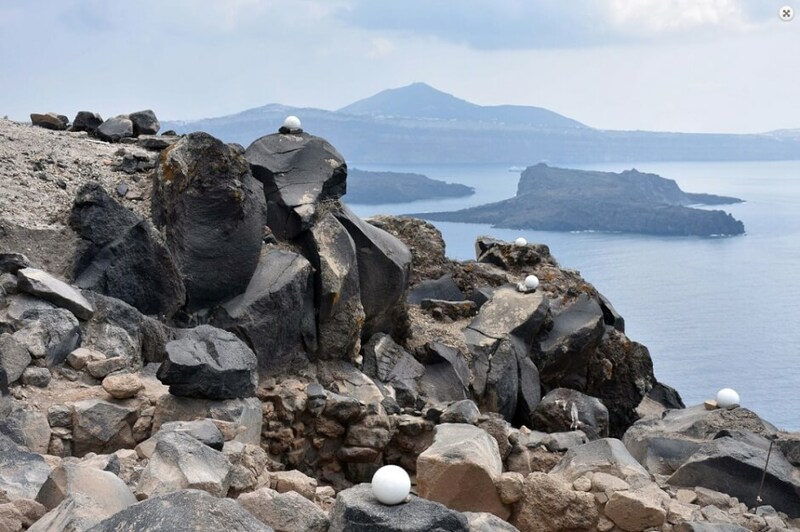 The dating of a piece of olive tree found on Thirasia will move the dating of the eruption of Santorini’s volcano a few decades later than current estimates, the Ministry of Culture and Sports said (...). 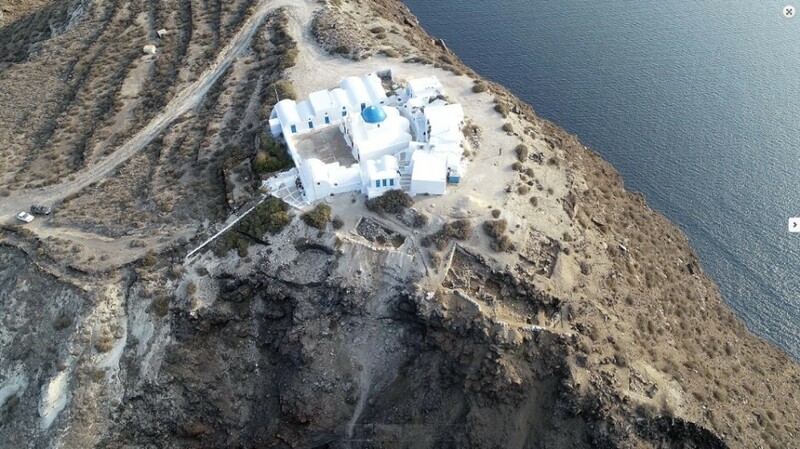 In recent years, excavations had revealed a large elliptical-shaped building and smaller constructions “ingenuously built into the volcanic rock face,” the ministry’s statement said. 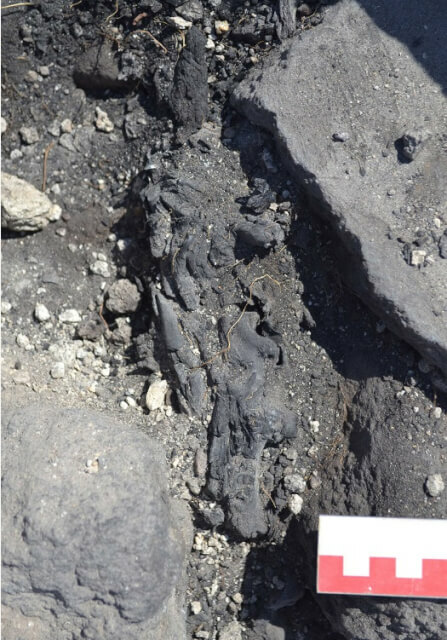 Excavations this year focused in an area where research had shown possible architectural remains squeezed between layers of the explosion levels of the volcano. 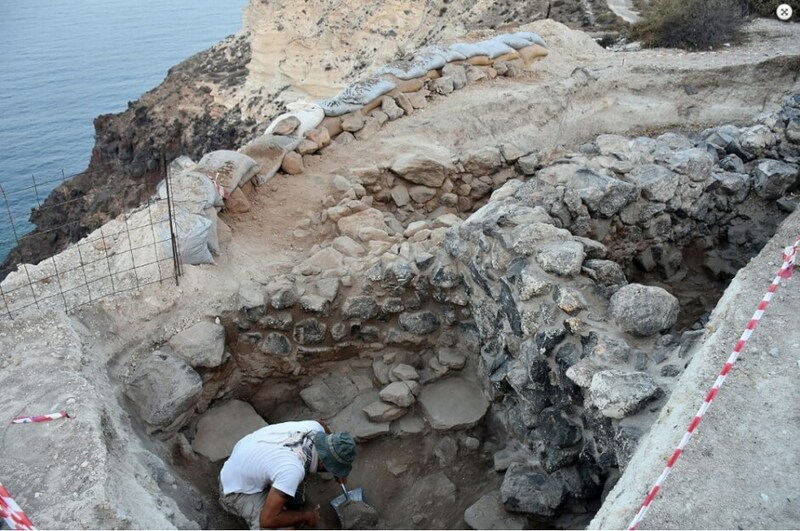 “From the start of the excavation, lying in the ash and pumice layers were found very strong walls, built carefully and in straight lines, one of which was nearly seven meters long,” the ministry said. 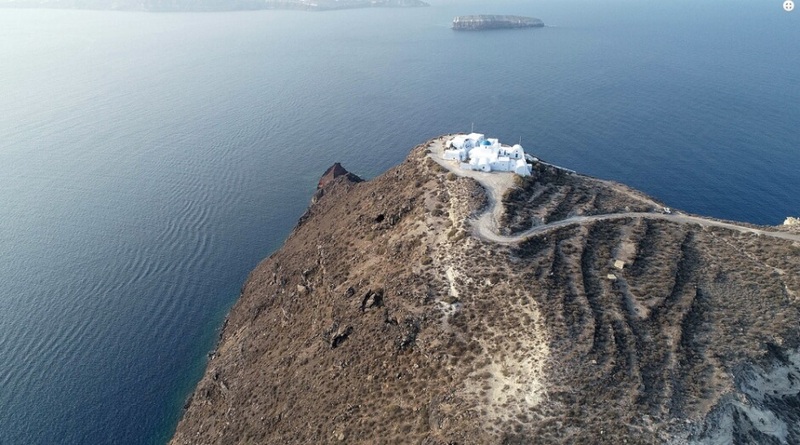 Full Ministry announcement (in Greek) here. Excavation website (in Greek) here.